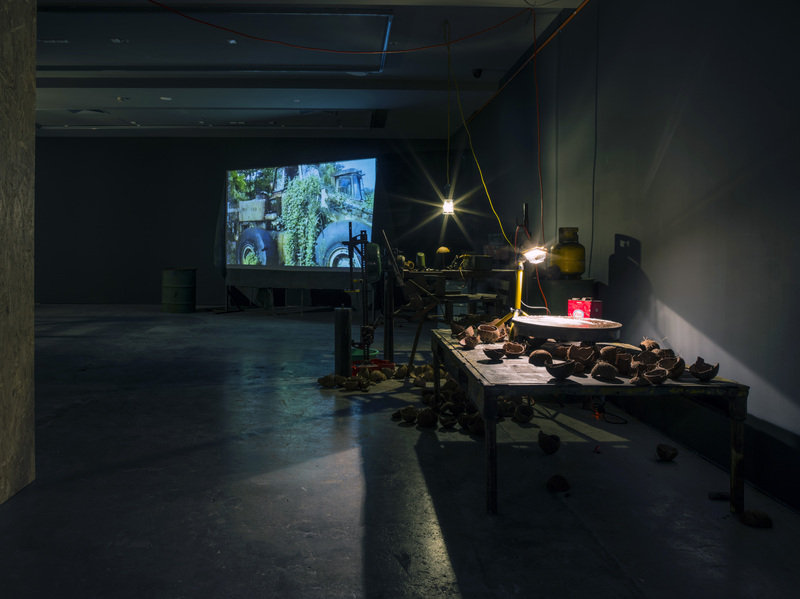 The survey exhibition Nicholas Mangan: Limits to Growth is co-produced by the Institute of Modern Art, Brisbane; Monash University Museum of Art, Melbourne; and Kunst-Werke Institute for Contemporary Art, Berlin. 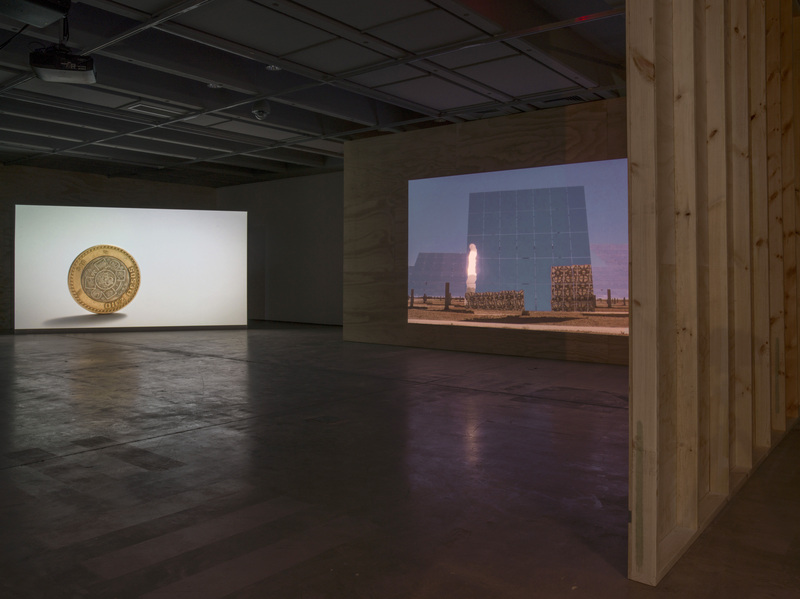 Limits to Growth (2016) is co–commissioned by Institute of Modern Art, Brisbane and Monash University Museum of Art, Melbourne, and has been assisted by the Australian Government through the Australia Council, its arts funding and advisory body. Ancient Lights (2015) is co–commissioned by Artspace, Sydney and Chisenhale Gallery, London and supported by commissioning partner the Keir Foundation. Installation view, ‘Limits to Growth’, Institute of Modern Art, 2016. Photography: Carl Warner. In view: Nicholas Mangan, 'Nauru – Notes from a Cretaceous World', 2010. Installation view, ‘Limits to Growth’, Institute of Modern Art, 2016. Photography: Carl Warner. In view: Nicholas Mangan, 'Ancient Lights', 2015. Installation view, ‘Limits to Growth’, Institute of Modern Art, 2016. Photography: Carl Warner. In view: Nicholas Mangan, 'Progress in Action', 2013. Installation view, ‘Limits to Growth’, Institute of Modern Art, 2016. Photography: Carl Warner. In view: Nicholas Mangan, 'Limits to Growth', 2016. Nicholas Mangan has exhibited extensively in Australia and internationally. His recent major installation Other Currents was presented at Artspace, Sydney, 2015; and Ancient Lights at Chisenhale Gallery, London, 2015. 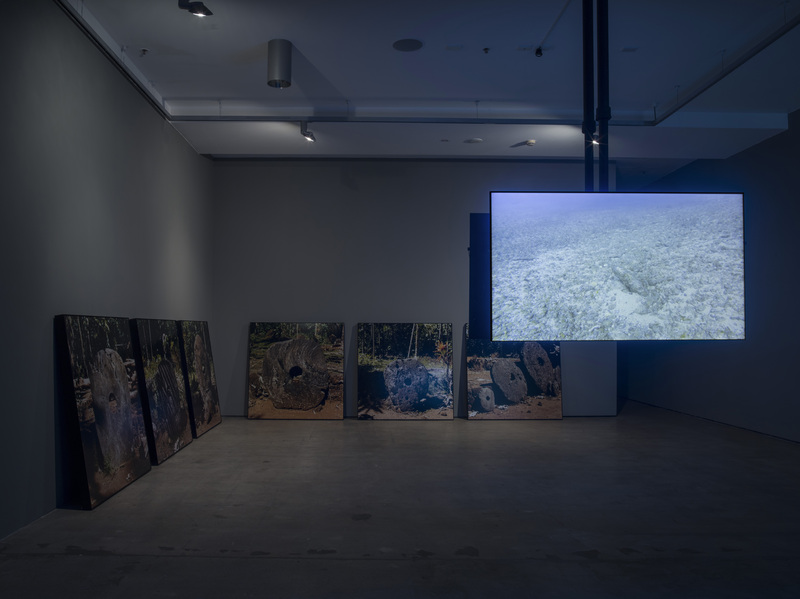 Other solo exhibitions include: Some Kinds of Duration, Centre for Contemporary Photography, Melbourne, 2012; Nauru, notes from a cretaceous world, Sutton Gallery, Melbourne, 2010; and Between a Rock and a Hard Place, Art Gallery of New South Wales, Sydney, 2009. 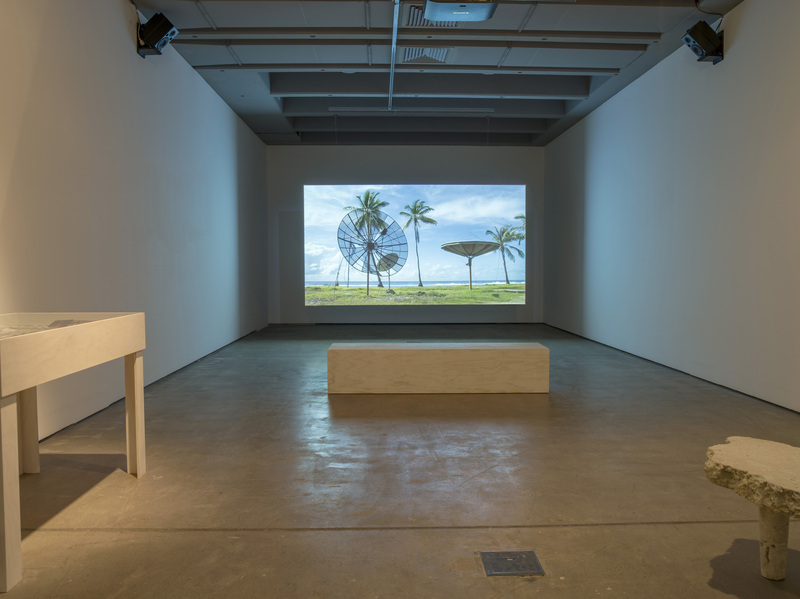 Selected group exhibitions include: Gwangju Biennale: What does art do?, Riddle of the Burial Grounds, Project Arts Centre, Dublin, 2015; Art in the Age of…, Witte de With, Rotterdam, 2015; New Museum Triennial: Surround Audience, New York, 2015; Melbourne Now, National Gallery of Victoria, Melbourne, 2013–14; the 13th Istanbul Biennial, 2013; and the 9th Bienal do Mercosul, Porto Alegre, Brazil, 2013. Mangan has been awarded numerous international residencies, including Recollets Artist Residency, Paris, 2011; and the Australia Council’s New York Green Street Residency, 2006. Mangan is represented by Sutton Gallery, Melbourne; LABOR, Mexico City; and Hopkinson Mossman, Auckland.